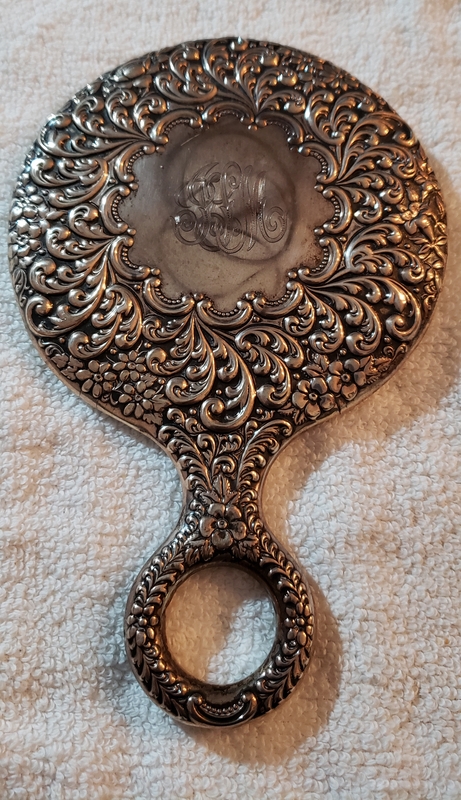 This is a vintage repousse sterling silver hand mirror. 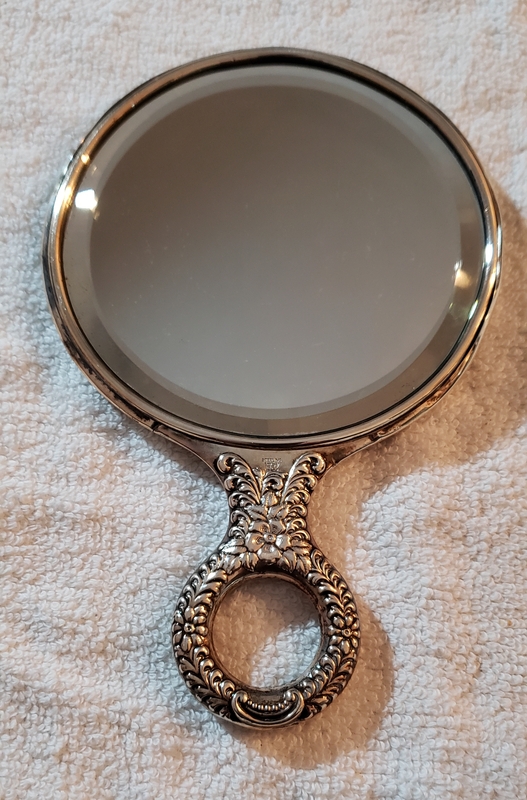 I'm trying to figure out the maker. I believe the makers mark is under the word sterling, as you can see in one of the photos. However, I can't figure out the makers mark. If anyone can assist me with the maker, age and value. I'd appreciate it. Thank you!